Hand-rolled from the trimmings of our other soap, this assortment of soaps are all just as good as the originals! 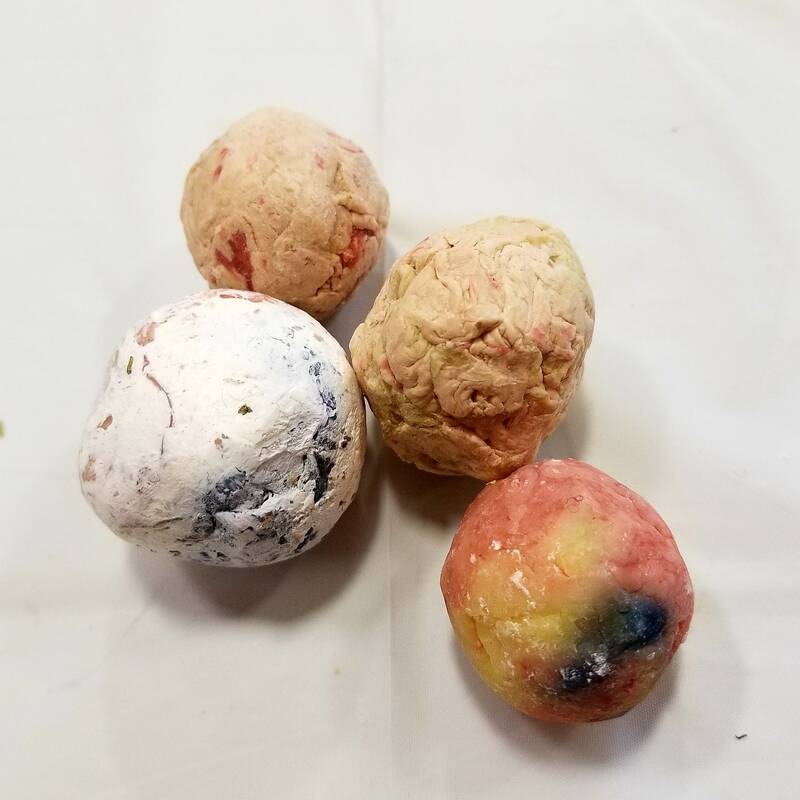 These soap balls help limit the amount of waste generated with the soapmaking process. 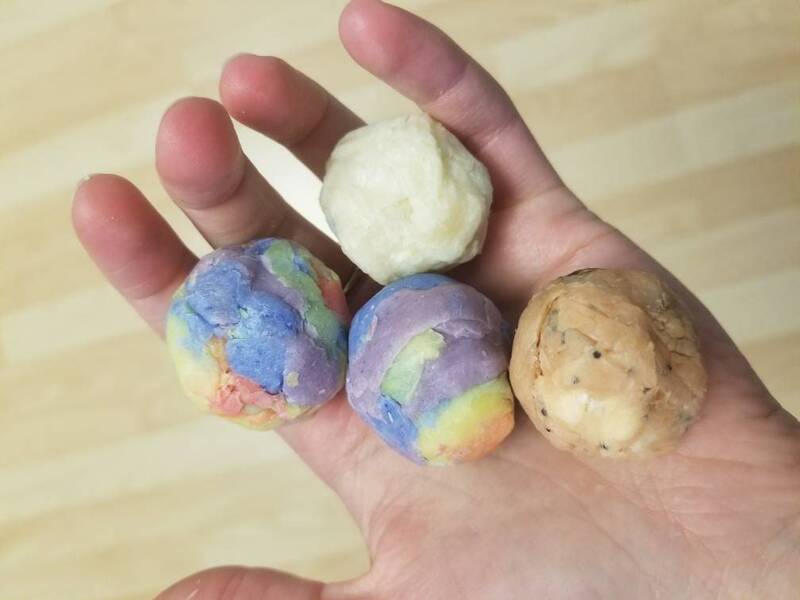 $5 for 3 balls of soap. Due to the handmade nature of these soaps, the appearance and size may vary slightly. Contains: Lard, Babassu oil, Canola oil, Whey, Sodium Hydroxide, Essential oils, Additives (including herbs, poppy seeds, and/or iron oxides).